BBC staff are to strike for 24 hours on 23 May and 48 hours on 31 May and 1 June in a row over job cuts. Unions say a fourth stoppage will also be announced to create the "greatest amount of disruption" possible. BBC employees are protesting at plans to cut 3,780 jobs and privatise parts of the corporation. The unions said the cuts were the most damaging in BBC history. The corporation said it regretted the decision to take industrial action. "By threatening the BBC's output, the unions put at risk the BBC's relationship with the public which is not in anyone's interest," it said. 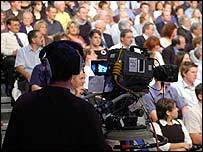 "Industrial action will not remove the need for further consultation or the need for the BBC to implement changes which will enable us to put more money into improved programmes and services." The BBC has yet to finalise TV and radio schedules for the strike-affected days, but its coverage of the Chelsea Flower Show may be affected as the event runs from 23 to 28 May. Other TV shows that could be affected include BBC One's Breakfast show, The Daily Politics and Working Lunch on BBC Two, and Wednesday's midweek lottery draw on BBC One. All national and regional news programmes, including Newsnight on BBC Two and BBC News 24 output, could also face disruption. Radio and online output may be similarly affected. Three unions - Amicus, the National Union of Journalists and Bectu - were involved in the decision. Gerry Morrissey, assistant general secretary of broadcasting and technicians union Bectu, said: "We will aim to cause the greatest amount of disruption possible to highlight our anger at the scale of job cuts and our concern about the effect these will have on the future of the BBC. "We expect overwhelming support for the strikes and we hope the BBC will return to the negotiating table to discuss these unacceptable job cuts with us." All of the strikes will be held on weekdays and will not affect coverage of the FA Cup Final, which is on 21 May, as had been feared. 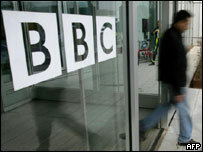 The BBC is expected to try to minimise disruption but Bectu previously said it would seek "black screens and dead air". News and live broadcasts could be hardest hit. Mr Morrissey said unions had decided to stage strikes on days when most staff would normally be in work so they could show their anger. "Staff are keen to take part in action to leave director general Mark Thompson in no doubt that he is out of touch," he said. 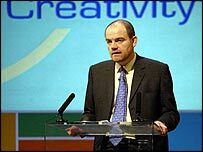 NUJ general secretary Jeremy Dear said he thought staff walkouts would cause "major disruption to programme output". He added: "It is regrettable that it has come to this, but there is an easy way for the BBC to avoid the chaos they have brought on themselves." Union members voted in favour of strike action on Wednesday. Bectu voted about 80% in favour of strike action, on a turnout of about 50%. The National Union of Journalists voted 84% in favour, with a 64% turnout. Youth view: Is the BBC worth it? Will digital destroy the TV licence? What would a fee rise fund? BBC licence fee settlement fair?